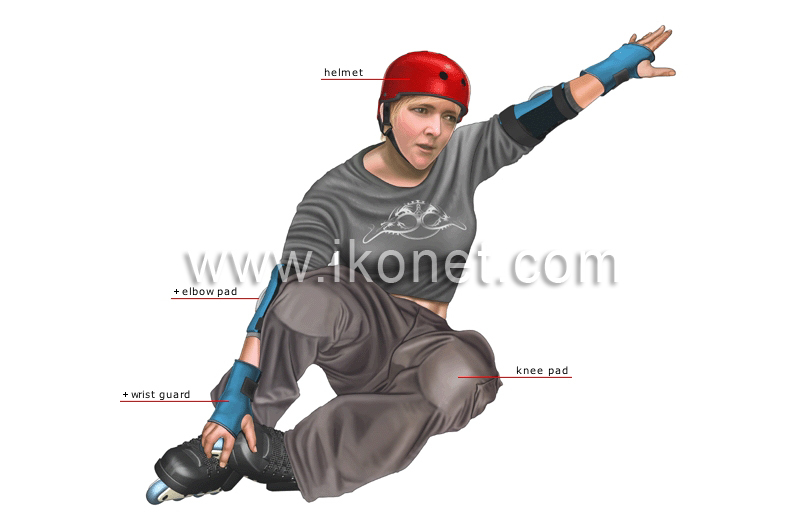 Athlete who does in-line skating; because of the risk of injury from falling, the athlete usually wears several pieces of protective equipment. Padded piece of equipment designed to protect the elbow. Piece of equipment with a hard plastic structure that protects the hand and the wrist.